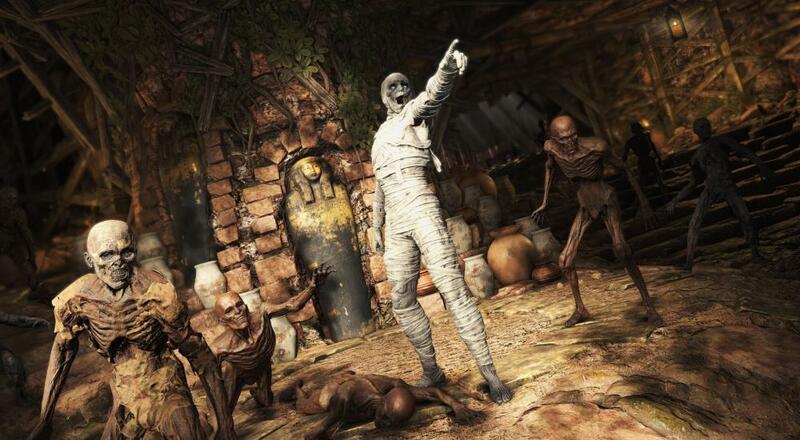 Mummies and magic oh my. A brand new co-op trailer just dropped for Strange Brigade, an upcoming 3rd person shooter from Sniper Elite developer Rebellion. The four player co-op game puts players in the shoes of a set of adventurers set in the 1930s as they uncover monsters and creatures of the fantasy sort. Mummies? Check. Zombies? Check. Giant spiders? Check. The one interesting thing this trailer shows off is just how interactive the game hopes to be - with numerous traps and puzzles set throughout the environment to not only help you proceed, but maximize damage to large groups of enemies. Strange Brigade will be out on Xbox One, PlayStation 4, and PC on August 28th. It features four player online co-op throughout the campaign.